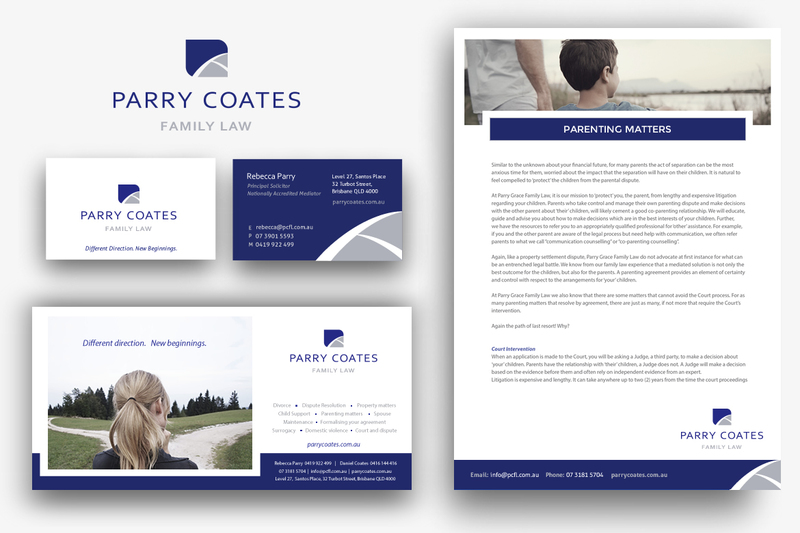 Parry Coates family law are a Brisbane based family law firm established in 2016. PCFL were looking for a branding solution that stood for integrity, empathy and experience but also made them stand out from the other firms in their industry. Blue Lily provided a full branding solution that reflected the personality of the organisation and also responded to the needs of this very specific market.